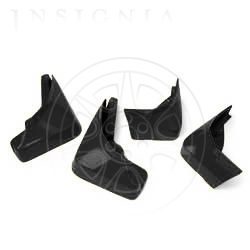 Description: These molded splash guards are not your typical splash guards. Designed specifically for your Camaro, they add the look of ground-hugging muscle while protecting your vehicle from mud, dirt, snow, salt and gravel. *Note: Splash Guards cannot be used with Ground Effects..